Family time at Hotel de Caumont. All photos by Shirin von Wulffen. 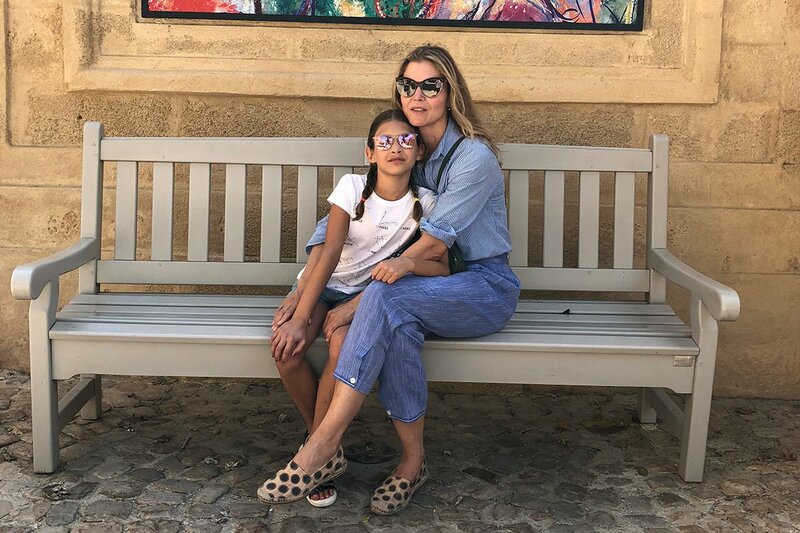 Several times a year, Bastide co-founder Shirin von Wulffen, along with her husband (celebrity hairstylist Frédéric Fekkai) and their two children, escapes New York City for the small, classically Provençal town, Aix-en-Provence. We tapped her for a list of go-to, kid-friendly spots. The ones her family frequents over and over again. AIX-EN-PROVENCE, France - My family spends four months of the year in my husband’s hometown, Aix-en-Provence. Eight years ago, we bought and restored an old bastide (farmhouse) and have come to relish the simple life of eating fresh food from our garden and the local markets and exploring the village with our family. More recently, our life in Provence (and the rosy cheeks our kids get from spending time there) lead us to create our clean beauty line, , which is inspired by the wellness philosophy of Provence and the herbs, flowers, oils, and honey from the region’s terroir. Here are my family’s go-to spots for eating, drinking, and enjoying life — the ones that make this part of the world especially magical for those traveling with children. Fresh produce at Market Place Richelme. Perusing the gift shop at Hotel de Caumont. For friends visiting with kids, the 18th-century private mansion is a favorite. The building was lovingly restored and converted into an art center with wonderful exhibitions. Kids are offered special guide books to complete in treasure hunt-style. The tours are short and end in a beautifully curated gift shop. We always stay for lunch or cake and tea in the adjoining Marie Antoinette-style cafe. The owner, Nicolas Mazet, has converted his 18th-century family manor house into a center for contemporary art exhibitions. You can enjoy lunch or dinner in the lovely courtyard (where the kids can run around the statues) and then walk through the house to see the exhibitions. Located next to the beautiful Fontaine des Augustins, this simple pizza place is a casual dinner spot where kids can run around the fountain and throw coins in to make wishes. The name translates to “Mamma’s Boys,” so the menu is designed for big and little kids who love home-cooked meals. Located in an old church, the space is beautiful and fun for children. Hands-down the best artisanal ice cream in town. Enjoy while people-watching from a stone bench on the Cours Mirabeau. 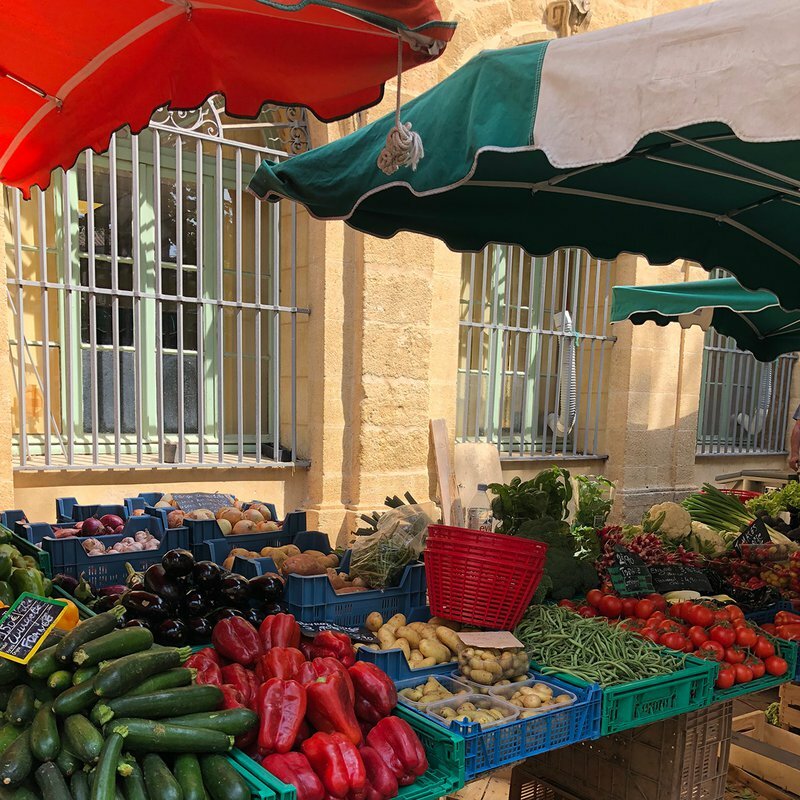 For the best people-watching in town, head to the farmers market at Place Richelme or enjoy a coffee on the terrasse at this restaurant located on the famous Cours Mirabeau. A family dinner at Chez Jo Pizzeria. 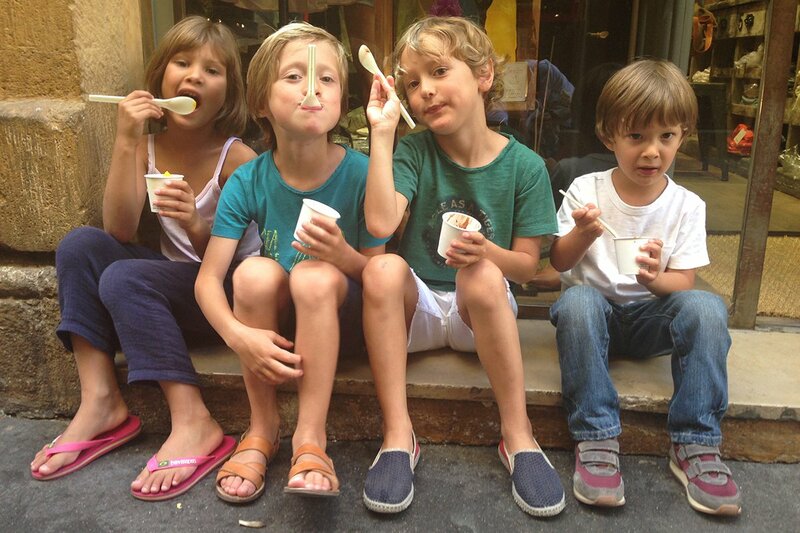 Ice cream at Philippe Faur. Right in the heart of Aix, our flagship store is just steps away from one of Provence’s most historic squares, the Place d’Albertas. We collaborated with local architect Amelia Tavella to create the atmosphere of a typical country-house from the south of France, where families gather to share good food and laughter. The space is warm and friendly, and a welcome retreat that invites guests of all ages to come in, slow down, and enjoy the simple pleasures of life. The oldest and most amazing art store in Aix. We stock up on Usborne sticker books and art supplies, then head to the second floor for new crafting ideas. 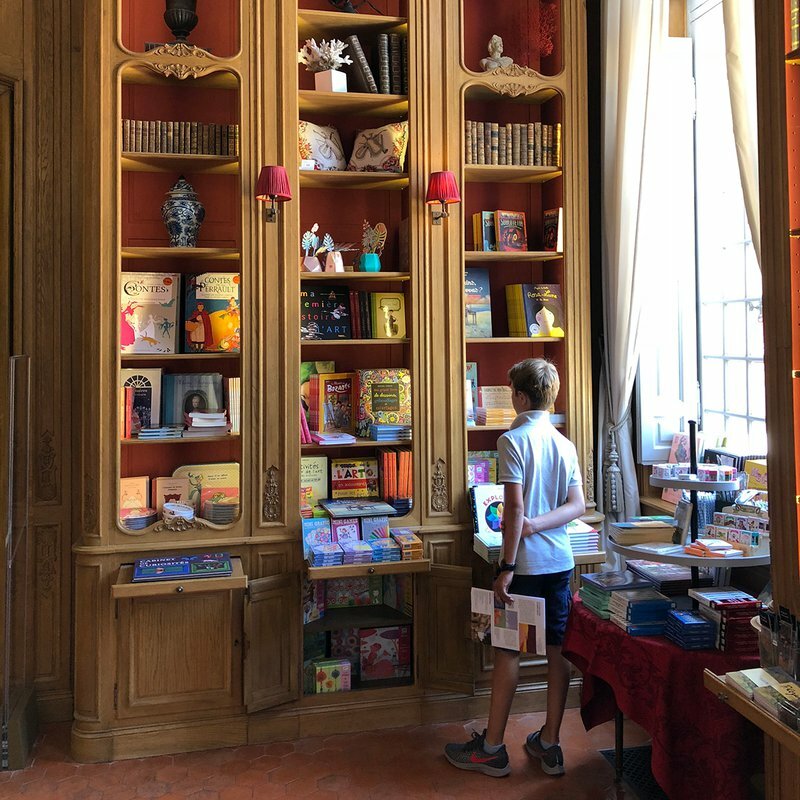 A gem of a toy store for classic French school backpacks, wooden toys, and kid gifts. Also great for decor inspiration. A feast for the eyes, this store is filled with fun gadgets, cute costumes, kid-friendly jewelry, and amazing Tupperware. The scene at Le Village des Antiquaires de la Gare. 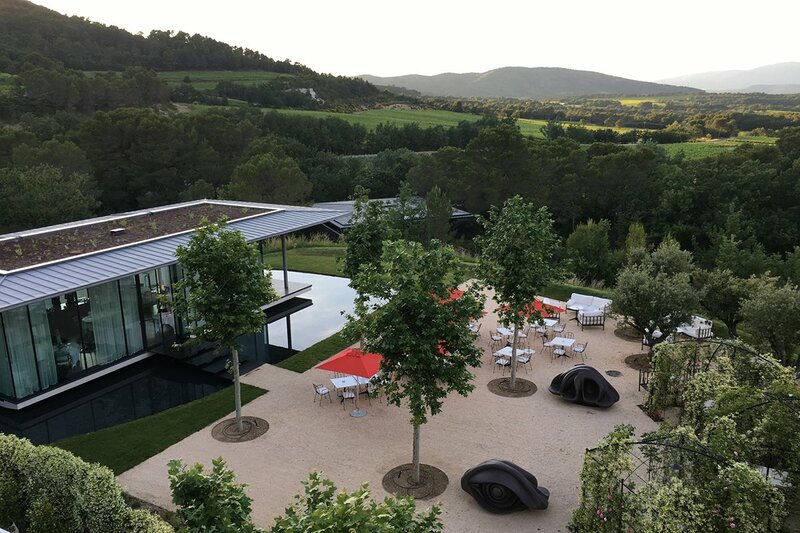 A twenty-minute drive from Aix, it’s best to arrive at this resort and winery around 10 a.m. to have plenty of time for a tour of the art and sculpture garden. By foot, it’s quite a hike, so too tough for small children, but you can call ahead to book a driven tour or rent electric bikes. Be sure to check out the wine shop and stock up on the award-winning rosé. They also sell our Bastide collection. Dine at La Terrasse, the outdoor cafe, for lunch or dinner. The cafe features great fresh produce from the property. 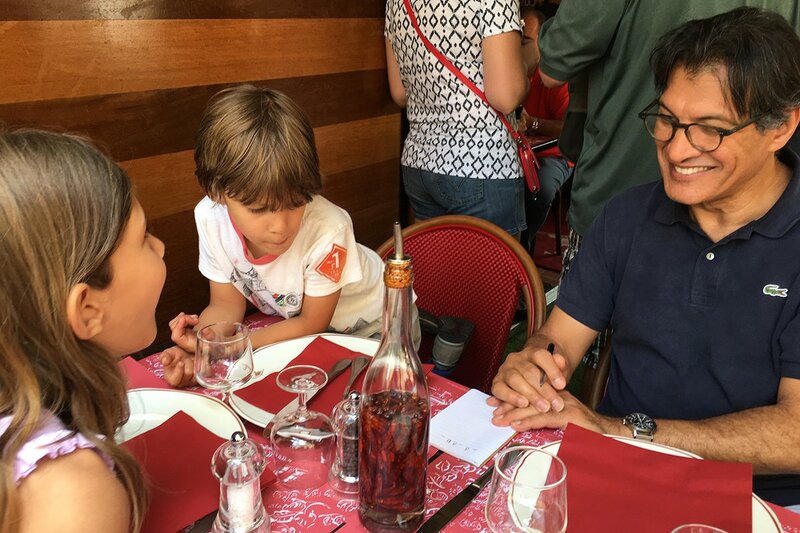 In the winter, La Terrasse is closed, but Tadao Ando is a great alternative with a more sophisticated menu that still works for kids. If you have a large group, reserve ahead. Called the “Venice of Provence,” this village is built around the Sorgue River with charming little bridges and water wheels all around. We usually avoid the village center and head straight to the antique vendors. I like to give my kids a bit of money so they can search for a “gem” of some kind to add to their collections. We start at , one of ten antique villages around the town. 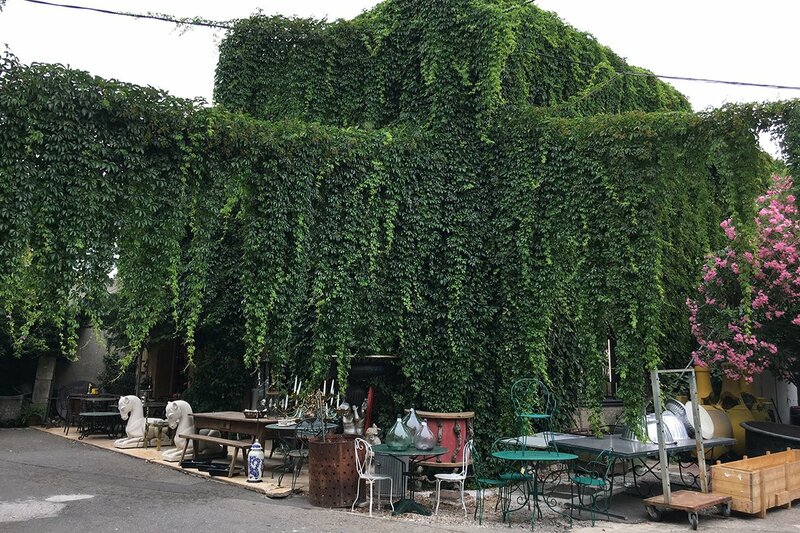 Then we head to another antique “mall,” Le Quai, which is next door to , where we often dine on the wonderful shady terrace. The higher-end dealers are around , so we also eat lunch there or go for a coffee break. The courtyard at Villa La Coste. A beautiful five-star hotel located twenty minutes outside Aix. In the heart of the biodynamic vineyard Château La Coste, it's an international destination for art, architecture, and natural beauty. Just five minutes outside the city center, this beautiful Italian-inspired oasis is perfect for kids. A pool, garden, spa, and lovely restaurant make it a wonderful place to relax after long day trips around the region. Shirin is a mother, entrepreneur, and the co-founder of Bastide. You can follow her on . She travels for the inspiration for her kids, to heighten the senses, and to feel the buzz of life.